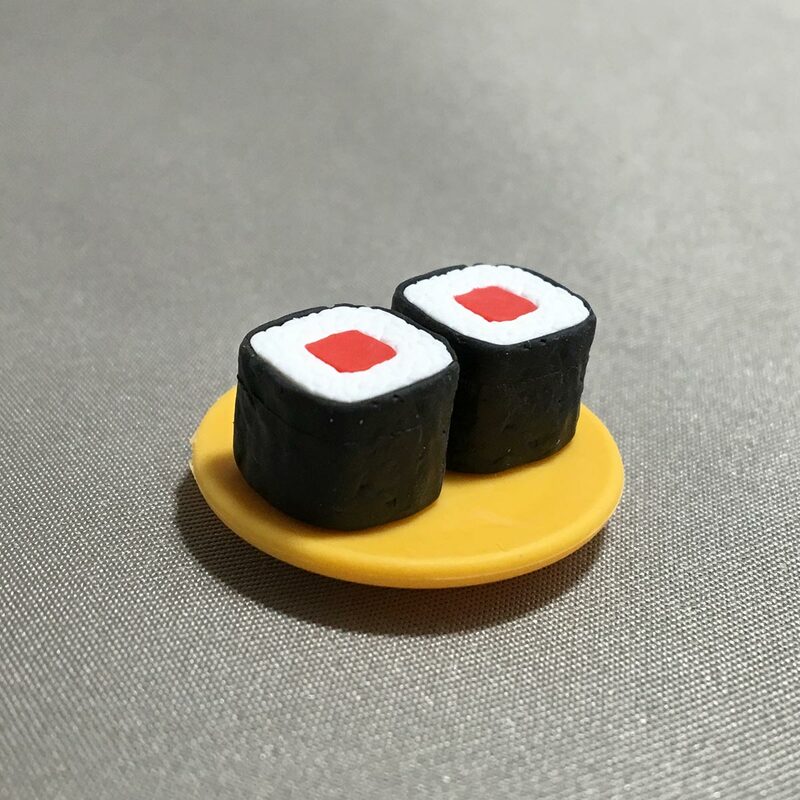 This set of Iwako Erasers Sushi from Daiso is shaped into a miniature meal of 4 plates of sushi, and there’s even a cup of green tea to wash it all down. 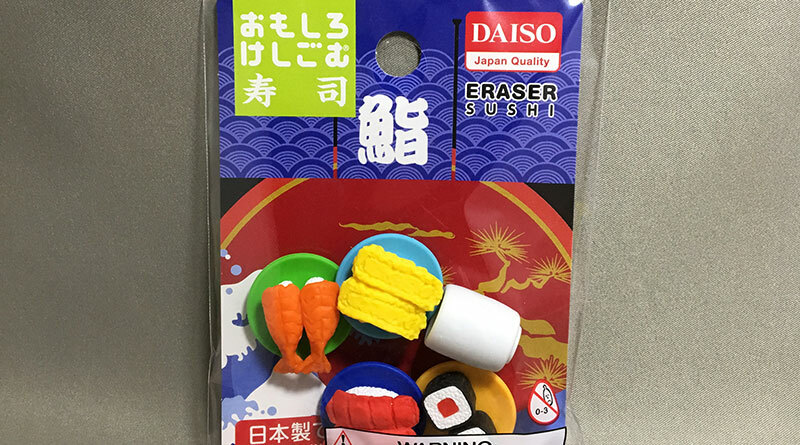 Iwako is well known to produce erasers in all shapes and sizes. 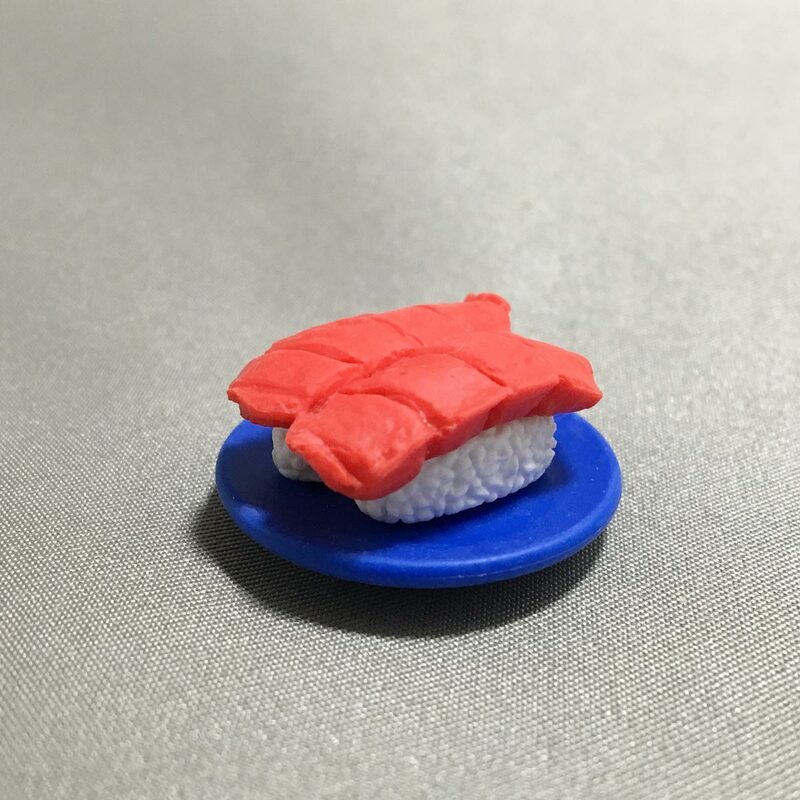 This set of sushi is created in great detail, you can see each grain of rice! 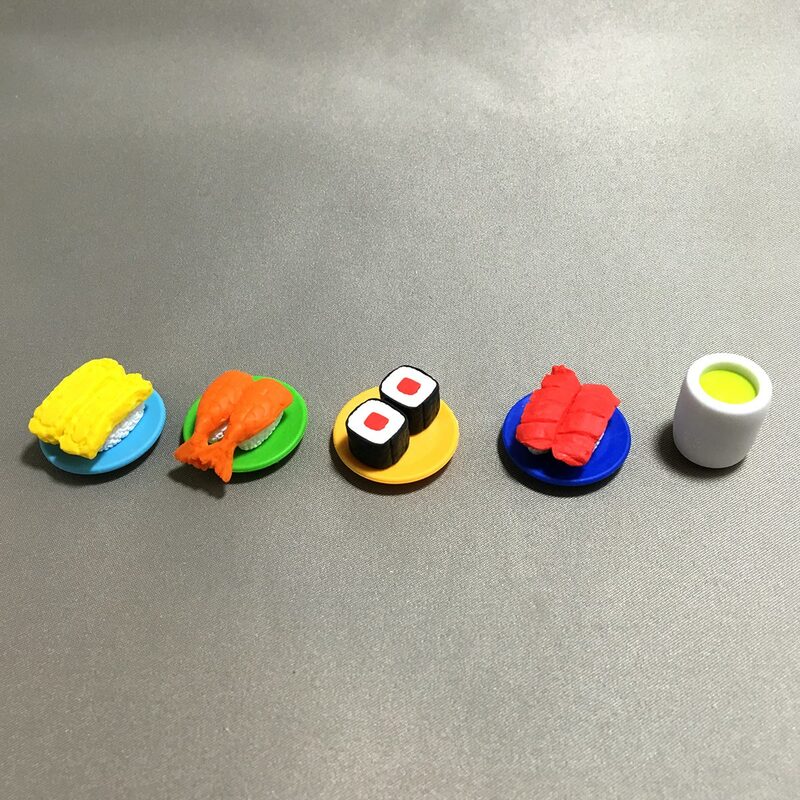 The sushi pieces in the set include tamago (egg), ebi (shrimp), tekkamaki (tuna roll sushi), maguro (tuna), and a cup of green tea. 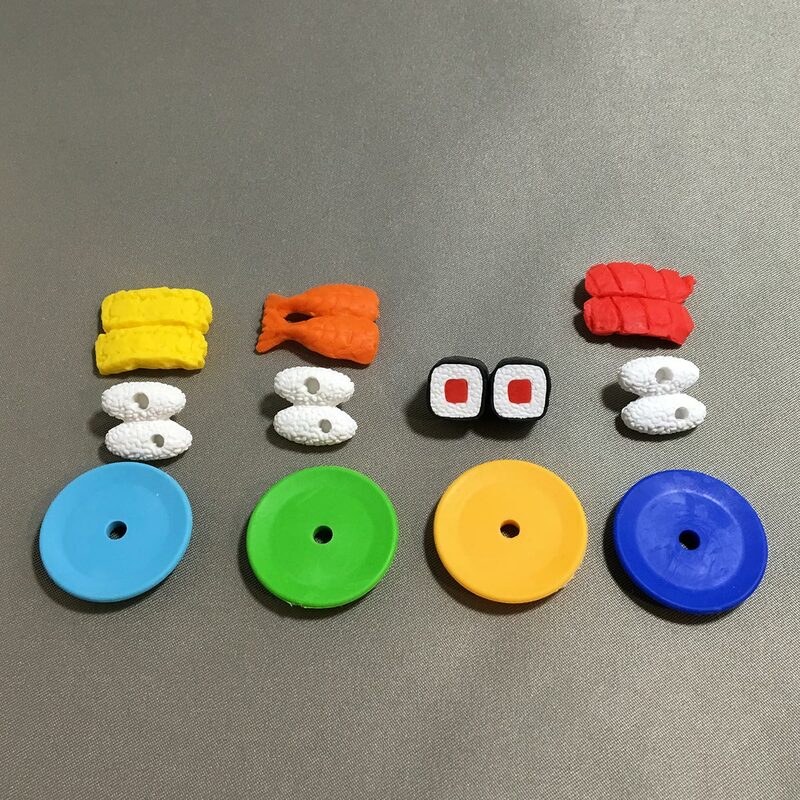 Each sushi and plate can be taken apart, so you can mix and match the different plates! 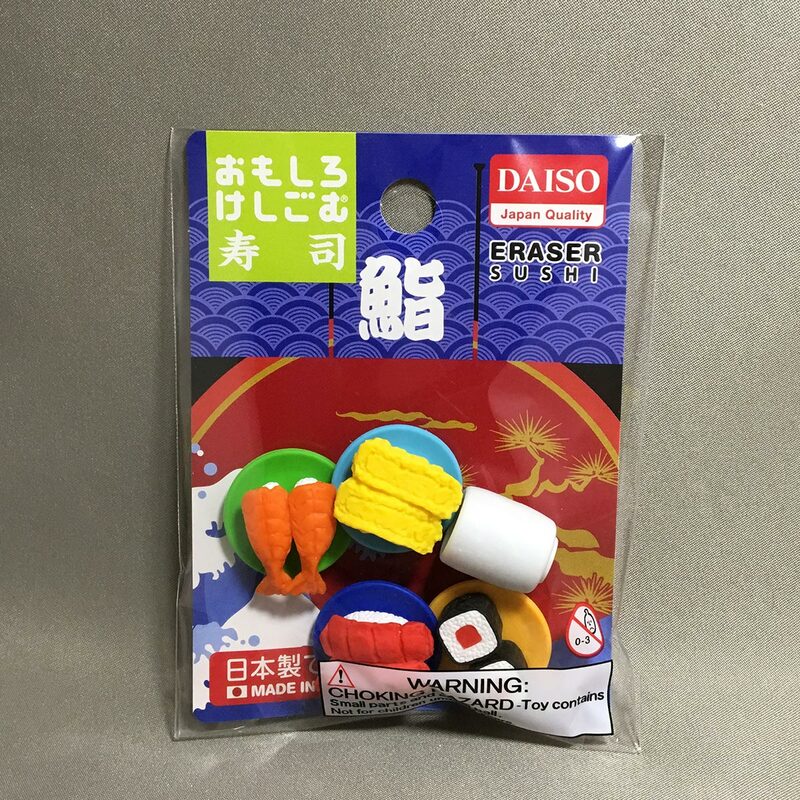 This is a set of おもしろいけしごむ – ‘omoshiroi keshigomi’ meaning ‘fun erasers’ from Iwako. – CHOKING HAZARD. Contains small parts. – Not suitable for children under 3 years. 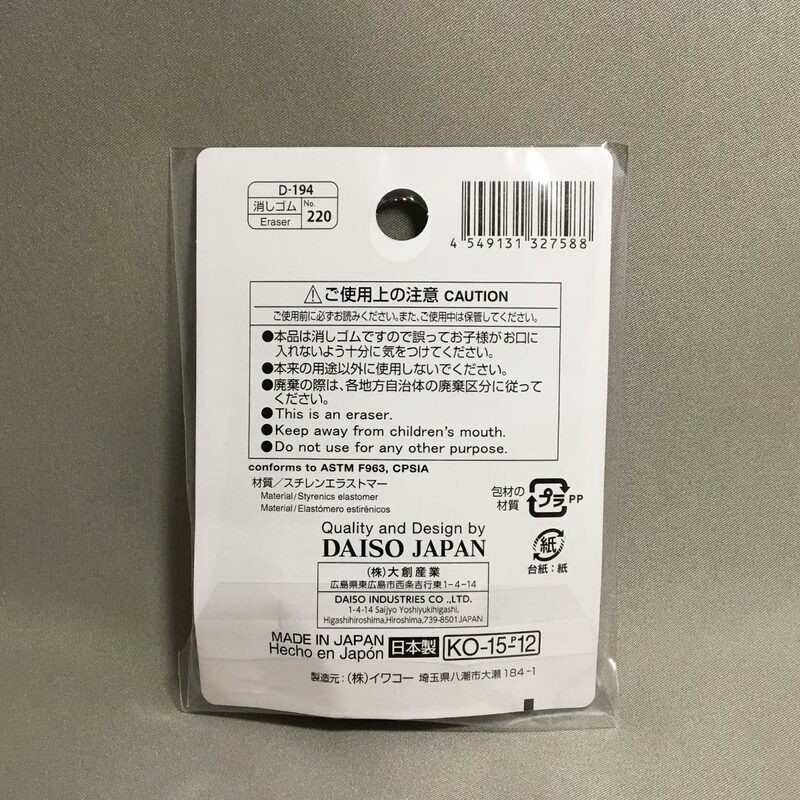 – Product is an eraser, and may pose a choking or ingestion hazard to children. 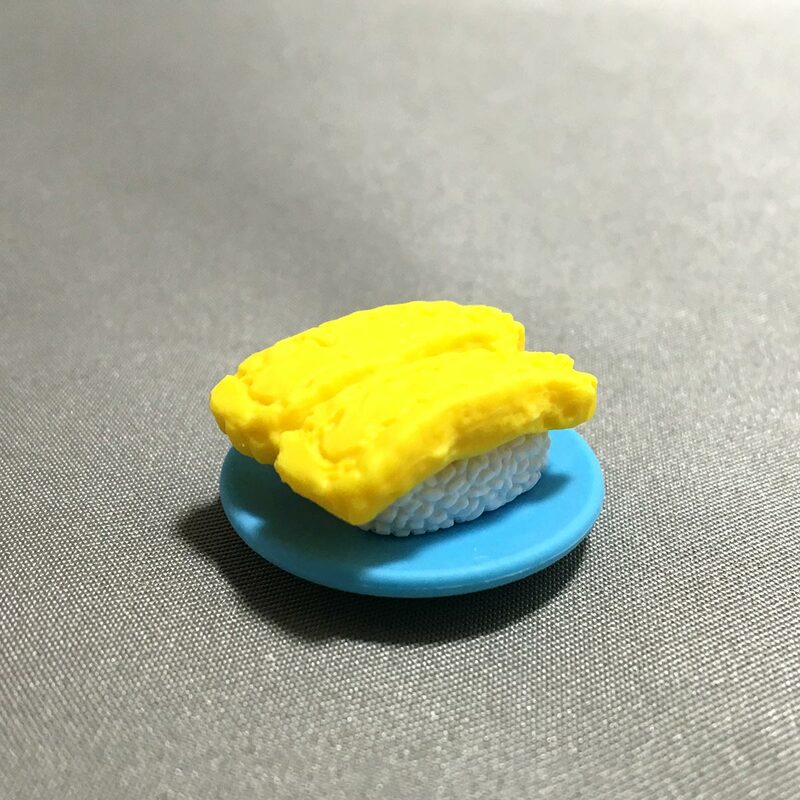 Iwako is very well known amongst eraser collectors, making erasers of all shapes and sizes, and in great detail. Here is a link to their online UK store. For 100 yen, you get 4 plates of sushi and green tea. I think that’s a bargain. 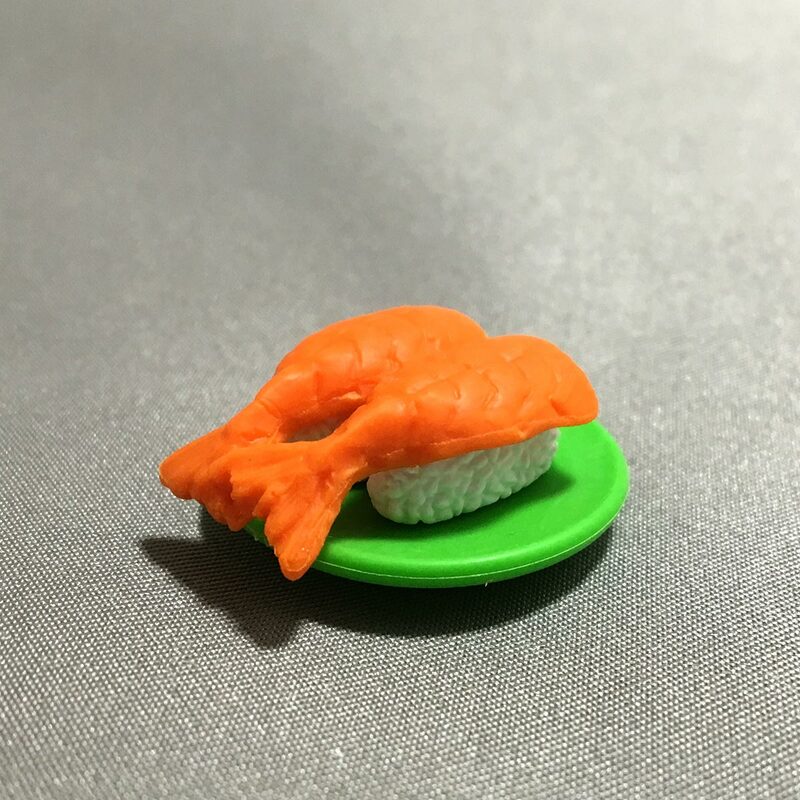 If that isn’t enough, you should check out the larger sushi delivery set. So, does it erase well? 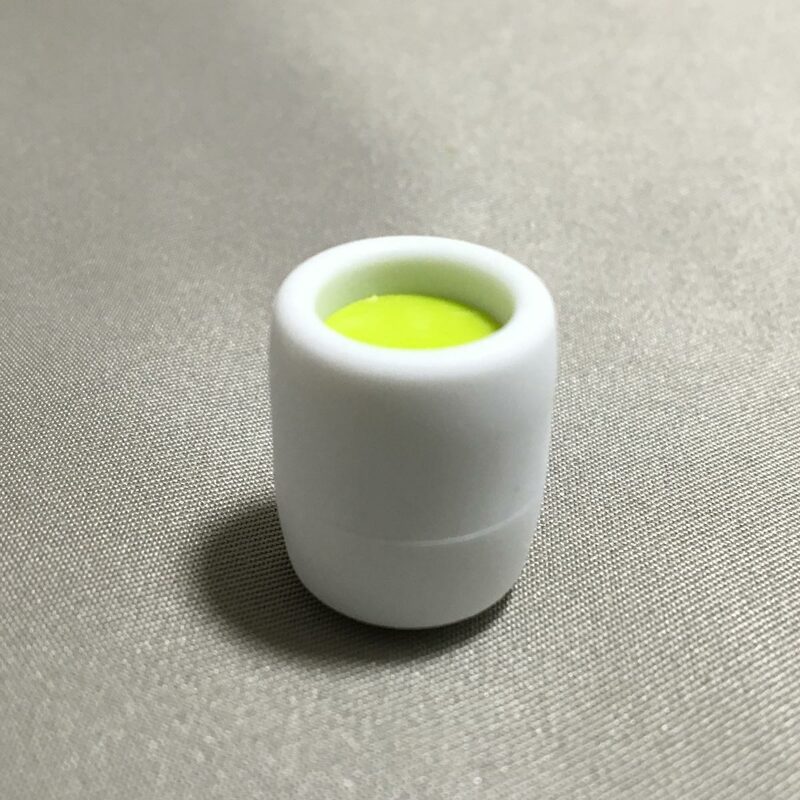 I don’t know, I haven’t used it, and probably won’t, as it’s a waste to use it… I mean, it’s so small and cute.